This section is dedicated to Bayshore Park. You may wonder why I would spend an entire section on this particular estate. The reason is twofold: First, Bayshore Park has been my home for the past six years; not only do I thoroughly enjoy living here, but I also know it inside out. 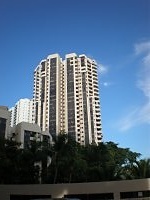 Second, due to its many homes Bayshore Park always has a substantial number of units available for immediate occupation. So, if you're looking for a wonderful home, a pleasing living environment with a nice mix of locals and expats, and you like what you see below, email me. My agent take you on a few viewings that I'm sure will have you as smitten of Bayshore Park as I am. Tucked in the periphery of a wooded corridor of thick jungle to the east and draped by verdant parkland to the south lies Bayshore Park. 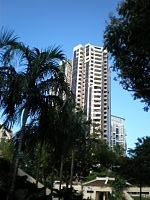 Because Bayshore Park was designed and developed before the introduction of the higher condominium plot ratios, it is, at over 93,000 square meters (roughly 23 acres), the most spacious of all the private condo estates in Singapore, allowing for large open areas between the towers and the panoramic views of the Straits of Singapore, the city and the airport. What's more, Bayshore Park is lush with an abundance of tall trees, brightly colored shrubbery, a kaleidoscope of plants and flowers and patches of manicured lawns. Best of all, it's literally a stone's throw away from the sea. All of this natural beauty makes for unbelievable panorama vistas, both day and night. All you have to do is look out of your window. In fact, the minute you drive through the front gate, you realize: Bayshore Park is resort living. If you'd like to know more about living here, drop me an email. I will get back to you within a day. Bayshore Park was awarded to the developer upon winning a first prize for design from the Urban Redevelopment Board. Almost each and every unit of this Hawaiian-style condo park has been designed with an open balcony, allowing for the full enjoyment of the Northeast and Southwest monsoon winds that blow nearly year-round. Bayshore Park has been my home away from home for six years now and I absolutely love living here.  You see, apart from the immaculately landscaped environment and the proximity to the beach, it offers so much, much more. Bayshore Park is conveniently located; the Central Business District and the city are mere minutes away by the East Coast Parkway, and Parkway Parade Shopping Mall is virtually down the road, as are the many local "makan" dining spots in Siglap, Katong and Joo Chiat. If it's seafood you're after, there are a number of well-known restaurants specialised in fresh seafood opposite Bayshore Park, just behind The East Coast Lagoon. What's more, the beach is a few minutes' walk away and so is the East Coast Park, which, as many Eastcoasters can attest, is perfect for a leisurely walk by the sea or a brisk jog along the jogging/blading track the morning after an indulging evening of food and drink. Frequent flyers will be pleased to hear that the airport is just a breezy 7-10 minutes away. And speaking of the breeze, due to the perpetual seabreezes here, it rarely, if ever, gets as hot and stifling as Singapore's interior. Last but not least, due to the ubiquitous ramps around the estate, at both pavement level and to the towers themselves, Bayshore Park is very accessible to the elderly, the wheelchair-bound and families with toddlers. 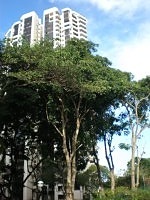 In fact, Bayshore Park is arguably the most family-oriented condo park in Singapore right now. If all of the above sounds like it's too good to be true in this age of box-sized condo projects where facilities stop at a couple of tennis-courts and perhaps a token pool, take it from me, it isn't. Bayshore Park truly is one-of-a-kind, the reason being that is was constructed in the late 80's, a time when space was not as much at a premium in Singapore as it is today. 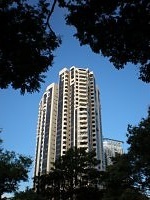 It survived the various en-bloc fevers with flying colors that swept Singapore during the past property bubbles. When it comes to Bayshore Park, they simply don't make them like they used to. Have a look at the pictures of the stunning surroundings, the generously-sized units, the great facilities, and make an appointment for a viewing. Or fill out below form, let me know your thoughts, wishes or questions. I'll get back to you within one working day.